will need to step up to sustain the Eastern Snake River Plain Aquifer. BURLEY, Idaho -- Southwest Irrigation District near Burley, Idaho, is finishing a winterization project that will enable year-round recharge of the Eastern Snake Plain Aquifer. A $600,000 grant from the Idaho Department of Water Resources is enabling the district in southeastern Idaho to double its pipeline system from the Snake River at the Milner Pool to injection wells south of the river, winterize pump stations and upgrade them to turn on and off as needed. "We plan to have the project done by March 1," says hydrologist Brian Higgs, District 140 watermaster and owner of Water Well Consultants. The winterization project came about after the Bonneville Power Administration and United Electric Co-op, which provide electricity to the district, launched a successful pilot program in the spring of 2012. BPA offered a reduced electrical rate to pump water to recharge the aquifer because it relieved the administration of an oversupply of electricity, especially at night, when power demand declines. The administration must balance electrical generation with demand to keep its system from being overloaded. At times, BPA faces an oversupply of electricity, especially in spring when high winds generate power at turbines and melting winter snowpack causes high river flows. Also during spring, electrical demand tends to decline before the air conditioning and irrigation seasons begin. With the recent upgrades, the district's system will have flexibility and be able to increase pumping during the hours of light electrical demand and decrease pumping during hours of heavier electrical usage on the grid. The contract with BPA for the 1.8 megawatt project was renewed for four years. "(The district) pumped an average of 1,900 acre-feet of recharge water annually on the old system," says Higgs. "The district's new pipeline will operate throughout the winter and pump more than 10,000 acre-feet to injection wells located more than 10 miles south of the river." The demonstration project provided numerous benefits and could be a model elsewhere, says Higgs. "It helped us maintain our agreement with the Surface Water Coalition," says Higgs. "Without it, we would have likely faced serious curtailments. In some locations, we're in good shape, but other areas at a longer distance from the river are still suffering." 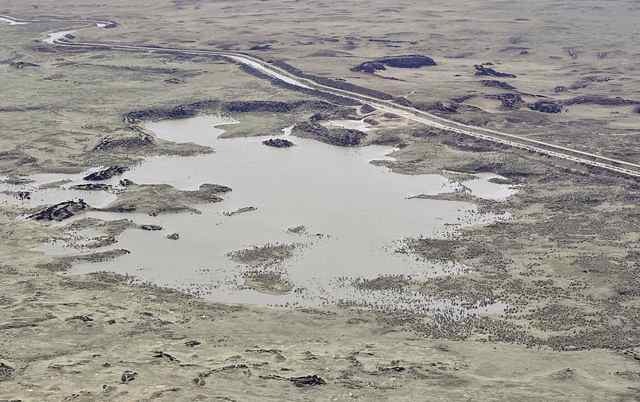 The Idaho Department of Water Resources estimates the Eastern Snake Plain Aquifer has been losing about 216,000 acre-feet annually from aquifer storage since the 1950s, resulting in declining ground water levels and spring flows. The department's State Water Plan set a goal of having managed recharge averaging 250,000 acre-feet annually. The SWID program, along with other major recharge projects at Lake Walcott and the Raft River Valley and to the north near Idaho Falls, will help the department eventually reach its goal. "The average recharge for the past few years has been about 80,000 acre-feet," says Higgs. "Eighty percent of that has occurred below American Falls Reservoir. However, the new Egin Bench recharge project to the north in Fremont County is operational. Recharge by the IWRB should top 150,000 for 2017." Higgs says SWID members look forward to continuing the recharge efforts near Burley. "Next winter, we'll be able to run without worrying about freeze-ups," says Higgs.